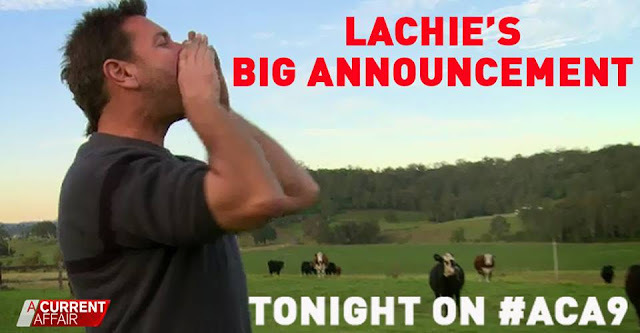 In news just in, Lachlan will be joining 'The Farmer Wants a Wife', both on Channel Nine. Lachlan just announced this news - which many on social media suggested - on A Current Affair. Here is his video announcement below. Click on this link here.